We have already used the term “crossroads” when we discussed new trends in Japan’s foreign policy. These changes stem from an ongoing process of radical transformation that has engulfed the entire world of politics including the regions of the Indian and Pacific oceans. All the somewhat significant constituent parts of the political map of the world are in a state of heightened and chaotic flux, as they attempt to find their new place (by trial and error) in this ever-changing political landscape. Pakistan is not an exception to this rule, as it is a fairly important player on the political arena. After all this nation possesses nuclear weapons, has a population of 200 million and an annual GDP of approximately $1 trillion, and its location is of utmost strategic importance in South Asia, a sub-region of the Indian and Pacific Oceans. Pakistan is not just a pawn in a complex game of chess that world players, such as the United States, the PRC and India are taking part in, but also its independent participant. The foreign policy course of this nation is also affected by complex internal processes. We would, first and foremost, like to highlight the fact that the Movement for Justice party came to power after its decisive win in the latest parliamentary elections in the summer of last year, and also focus on its initial consequences. The party was established in 1996 by the current Prime Minister of Pakistan, Imran Khan, to serve as a counterbalance to the two of the nation’s oldest parties, the Pakistan Muslim League (PLM-N), founded by the former Prime Minister, Nawaz Sharif, and the Pakistan Peoples Party. Despite their two-sided battle for supremacy in the past, these two former parties seem to have found themselves on the same side of the barricade, which separates them from Imran Khan’s current ruling party. And the opposition it faces from the veterans in Pakistani politics is intensifying, which has, in turn, added tensions to the internal political environment in the country. Political opponents of Imran Khan’s government have solidified their positions as in the last 6 months no progress has been made to resolve the key issue the nation is facing, the lack of funds in the state treasury. Views vary as to why Pakistan’s financial situation is in this nearly critical state. Western “well-wishers” mainly point the finger of blame at the gradual descent of the nation into a “debt trap”, created, apparently, as a result of ongoing work on the grandiose China-Pakistan economic corridor (CPEC). Without dwelling into whether such explanations are reasonable or the fact that the CPEC project began at the initiative of politicians who came before Imran Khan, it is simply worth highlighting that in the unfolding internal political climate few people are concerned about this. According to Pakistani media outlets, there is a shortage of natural gas and electricity supplies this current winter, and the new government, which was only half a year ago greeted with enthusiasm, is now “to blame” for the current woes. It seems that Imran Khan’s visit to Turkey “to receive financial assistance” at the beginning of January did not bear fruit, as Ankara is facing similar problems at the moment. Approaching the IMF (the International Monetary Fund) is not an attractive option as the usual demands to lower state spending would then follow, which would eventually result in higher fees for electricity and gas. We could summarize the latest developments so far with an assessment of the current situation in the country, published by the popular Pakistani newspaper, The Nation. The media outlet reported that forces, which brought the Movement for Justice party to power, have, perhaps, overestimated Imran Khan’s skills, and they are now helplessly observing how the economy is “tanking”. It is also worth noting that “the democratic process”, used by the previously mentioned “forces” (a euphemism which refers mostly to the Pakistani army that continues to play a key role in the nation’s politics and society) to bring the ruling party to power, was far from perfect, to put it mildly. We are, first and foremost, referring to the removal of Nawaz Sharif from the post of Prime Minister in 2017. In a year’s time he was convicted (3 weeks before the elections) of corrupt practices and sentenced to 10 years in prison. Nowadays, Nawaz Sharif’s PLM (N) and other political opponents are intensifying their attacks on Imran Khan’s government by making full use of the difficulties in the economic sphere. In response to his harshest critics, Imran Khan, on 15 January, used emotionally charged language such as “fabricated propaganda” and “nefarious agenda” (). 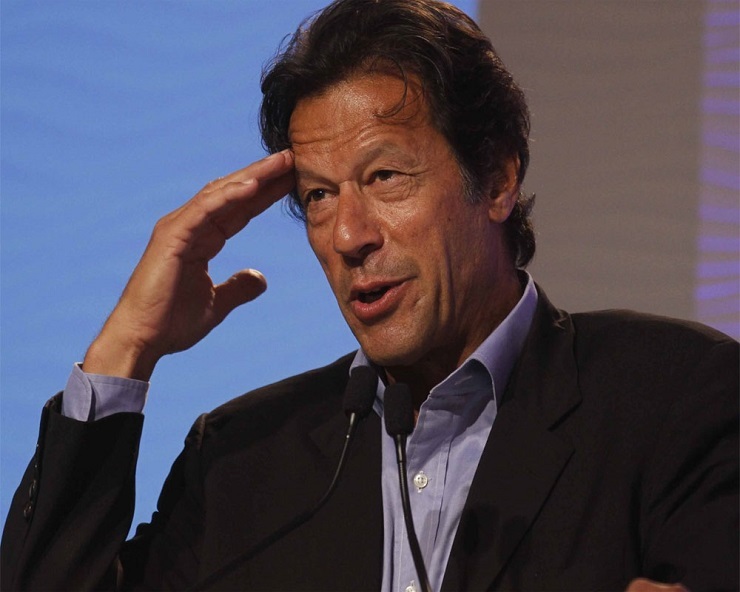 Some Pakistani commentators think that in light of the intensifying internal political climate and also the need to reaffirm the mandate obtained from the people in summer of 2018, Imran Khan may choose to hold snap parliamentary elections. India, in the meantime, is observing the current political turbulence in Pakistan very attentively, but it is in no rush to respond in a truly positive manner to attempts by Imran Khan’s government to lower wearisome tensions in their bilateral relations. From the moment both countries gained independence in 1947, these tensions have remained fairly high, and from time to time transformed into armed conflicts of various intensities. The Pakistani army, which has borne the brunt of responsibility in the confrontation with India, has long viewed this as an unbearable burden to the country’s economy. Hence, the second reason (inextricably connected to the first) for bringing the Movement for Justice party to power was to lower the tensions in the relationship between India and Pakistan. Earlier we discussed various initiatives to ease these tensions, which were taken by Imran Khan immediately after he became Prime Minister. Thus far, outcomes of such efforts have been limited to the opening of the Kartarpur corridor on the border of the two nations, which allows Sikhs from India to visit their holy places in Pakistan without any obstacles. Taking into account India’s low level of participation in this initiative, it is hard to construe this event as anything more than a positive gesture. In New Delhi, it seems there is a belief that time is on India’s side, which has allowed this nation to communicate with Pakistan from a “position of strength”. In addition, the “wait-and-see” approach adopted by the current Indian leadership in its policy towards Pakistan may stem from the fact that the country entered a period of internal political strife (fairly intense in nature) before the upcoming scheduled parliamentary elections this spring. Its outcome is still unclear, but some forecasts have already been made. According to these assessments, the secular Indian National Congress (INC) party has a good chance of returning to power, which, in turn, will most likely lead to a more positive agenda as far as the India-Pakistan relations are concerned. Finally, Pakistan is still within the space where the confrontation between the two world powers is taking place. After a short pause, Imran Khan’s government continued with the policies of the previous decades to establish closer ties with China, by also reaffirming the relevance of the CPEC project. But, in Pakistan the initiative is still criticized. At the same time, it appears that Pakistan’s friendly ties with the USA, established at the end of the Cold War, that have worsened (seemingly irreversibly) are now improving. Evidence to this effect is provided by Imran Khan’s positive reaction towards Donald Trump’s letter, which suggested that the two nations combine their efforts to resolve problems in Afghanis. Still, the Afghan issue was probably just an excuse in this case to attempt and re-establish the US-Pakistan ties. In conclusion, we would once again like to reiterate that the current global political landscape is continuously changing and all of its more or less important parts (for example, Pakistan) are constantly seeking a more “comfortable” place for themselves in it.